When I chose this book to review, I had no idea that it was book 2 in a series. Thank goodness I didn't or I might have missed out on what turned out to be a fantastic book! It works just fine as a standalone. There, now that I've gotten that out of the way, let's roll on to the actual review! This book starts out with lots of explanation type stuff. There's a map, a list of characters, and and explanation to do with the differences between the White and Red Russians. Taking the time to read this really helped me get into the book. It helped me "investigate" alongside Poppy and while the results weren't totally what I thought, I also wasn't horribly surprised. I'm good with that. I'm not a giant fan of books where I feel like a total dingbat at the end. 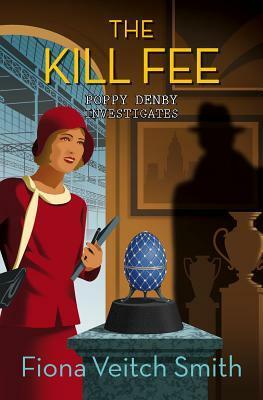 The story is easy to read and Poppy is a fantastically likable character. The tidbits of history were one of my favorite bits but that's not surprising because I love history. All in all, this is a book that you're going to want to pick up if you're a lover of history and mystery.